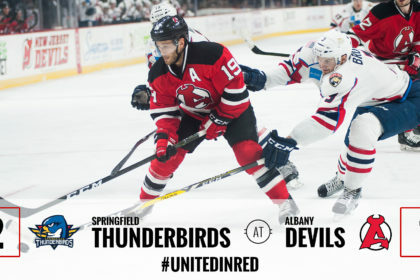 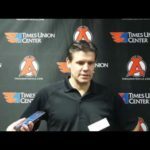 ALBANY, NY – In their third meeting this season the Albany Devils were defeated by the Springfield Thunderbirds 2-1 in a shootout Friday at Times Union Center. 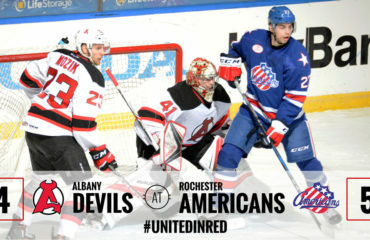 The Devils’ record moves to 34-25-1-2 as the Thunderbird’s fourth straight win improves their record to 26-26-8-2. 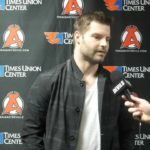 Thomas Schemitsch won the game for the Thunderbirds with the only goal in a six round shootout. 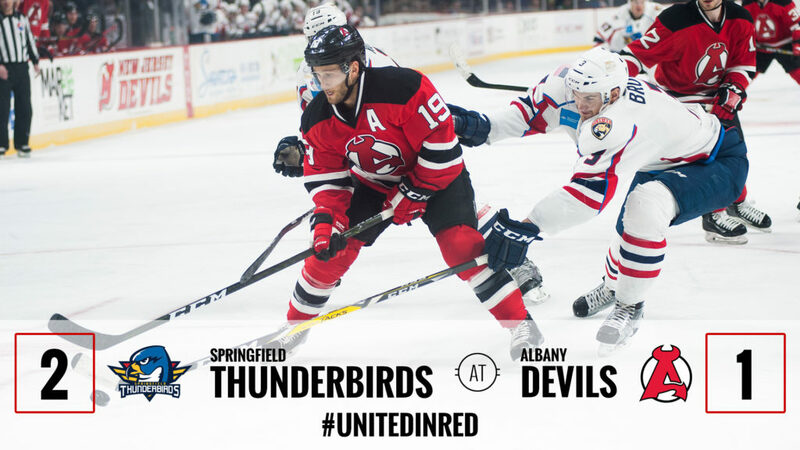 Springfield’s points leader, Chase Balisy, scored the first goal of the game on the power play at 1:07 of the second period on a scramble in front of the net after Devils’ goaltender Mackenzie Blackwood made a few sprawling saves. 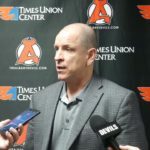 Jacob MacDonald tied the game at one with just 6:09 remaining in regulation. 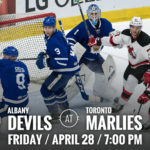 After entering the zone, MacDonald worked a give-and-go with Kevin Rooney who placed the puck on his stick for a tip-in in front. 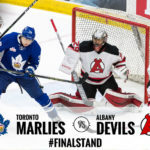 Blackwood was strong in net making 28 saves on 29 shots and 5 of 6 in the shootout to move his record to 13-10-3. 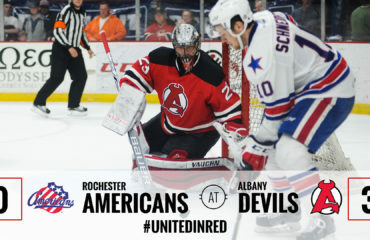 Across the ice Adam Wilcox also stopped 28 shots and all six in the shootout to improve to 21-10-4. 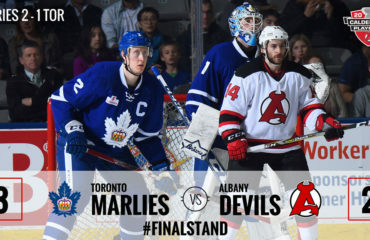 The Devils travel to Syracuse Saturday to take on the first place Crunch for a 7 pm puck drop.